Yesterday, we slotted our goals and outcomes into the roles and contexts that are important to us: our battle lines. Today, we give those goals greater clarity. Many of you might be familiar with the idea of SMART goals. If not, I’ll explain and hopefully, by the end of today’s piece of this Challenge, you’ll have a more clearly actionable set of outcomes and goals. Specific: Be a better 10k runner. Measurable: Be a better 10k runner by reducing my time by 10 minutes. Actionable: Use an action verb instead of ‘be’ or ‘have’: Improve my 10k runs by 10 minutes. Realistic: If my time is an hour, then 50 minutes is realistic. If my current time were 35 minutes, I might need to update. Improve my 10k run times by 10 minutes by September 1, 2014. Making your goals SMART gives them more power, more inherent accountability, and more structure. If you give them action, a time frame, and specificity, the plan to achieve the goal is already embedded. You become extremely clear, and clarity is key to success. But what of ‘softer’ goals or outcomes? One area of life that is more easily measurable: Finance or fitness, perhaps. One that is more relational in nature and, therefore, not as clearly measured: Marriage, parenting, or spiritual life. How do you make them objective and measurable? If you decrease your 10k runs by 10 minutes, you know you’ve hit your goal. If you’re trying to be a better communicator in your marriage, it’s hard to come up with a target. Should you still include these softer goals? Of course! These soft goals are probably the most important to you because they involve relationships. How do we make these ‘soft’ goals SMART? Specific: Develop a fun relationship with my children. Measurable: Have one ‘date’ a month with each child. Actionable: Develop a fun relationship with my children by scheduling monthly dates. Realistic: Monthly is realistic. Weekly might not be. Develop a fun relationship with my children by scheduling 12 monthly dates with each child. Pull out your list of goals. Today’s Worksheets will include other examples to give you some prompts. A word about this exercise: Don’t stress about forcing your goals into the SMART format. The purpose of this exercise is to make your goals as clear and actionable as possible. 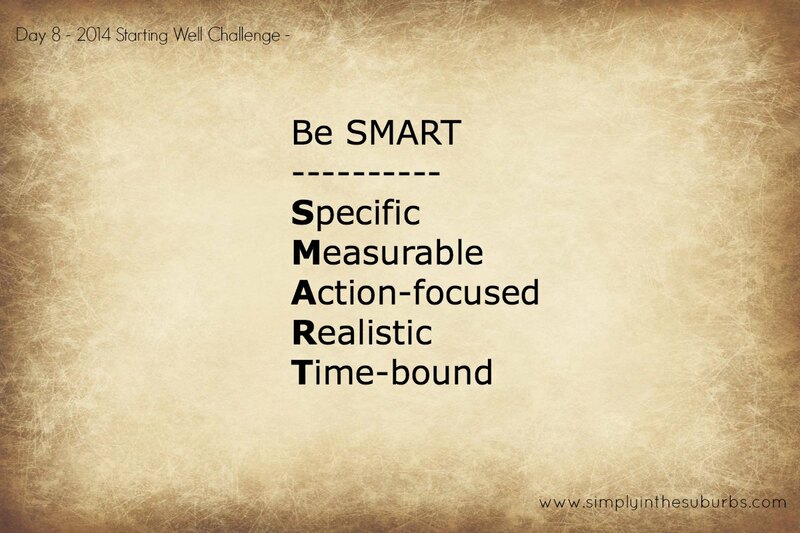 Most goals would benefit from at least 2 or 3 items from the SMART acrostic. In the comments: I’d love for you to share an example or two from your world in the comments below. Share a SMART goal below. Preview Day 9: By now, there’s a chance that you are overwhelmed by the numbers of your goals and outcomes that you’ve created. 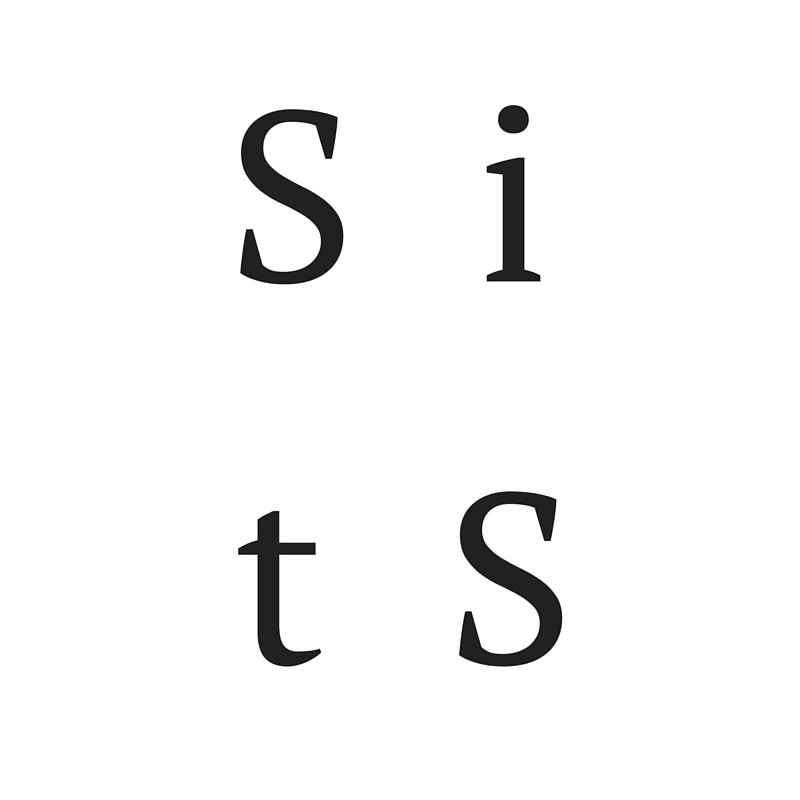 On Day 9, we’re going to simplify things by being selective. We’re going to apply the ‘Saying No’ principle to our own goals and outcomes. Don’t forget to click a social media button below and share this post if it’s helpful to you. Also, you can find links to previous days’ posts and worksheets along with other helpful resources here: 2014 Starting Well Resource Page.